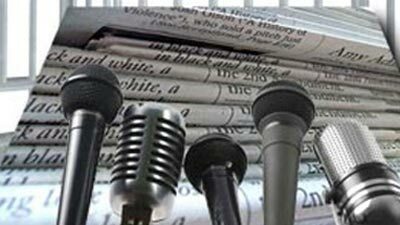 LGBT community slams media for derogatory reporting - SABC News - Breaking news, special reports, world, business, sport coverage of all South African current events. Africa's news leader. LGBT says it still being victimised by indigenous language often used by some print media . The lesbian and gay community in KwaZulu-Natal say 25 years into democracy they are still being victimised by indigenous language often used by some print media when writing their stories. The Lesbian, gay bisexual, transgender and intersex (LGBT) community organisation held a seminar facilitated by the Human Rights Commission to discuss their concerns about the derogatory names with the media and the Pan South African Language Board in Durban. A member of the LGBT, Sibongiseni Khumalo, says media contributes to the victimisation they face in their communities. The Human rights Commission facilitator, Benjamin Ntombela, says everyone is equal before the law and that no one should be discriminated on based on their sexual preference. This entry was posted on 07 Feb 2019,10:49AM at 10:49 AM and is filed under Uncategorized. You can follow any responses to this entry through the RSS 2.0 feed. Both comments and pings are currently closed.